I'm using a custom made script in order to generate the required text format. I'll upload it later. Script added to post too. 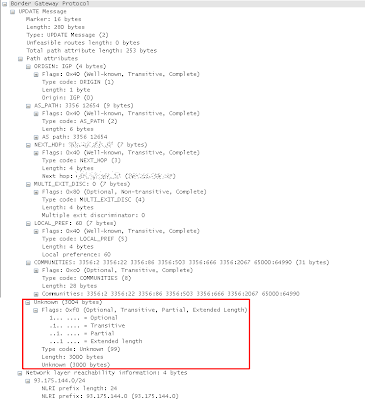 Hey Tassos, not sure if you know this but you can feed text2pcap multiple packets. Just start your HEX dump offset back at zero and paste another packet into the trace text file. 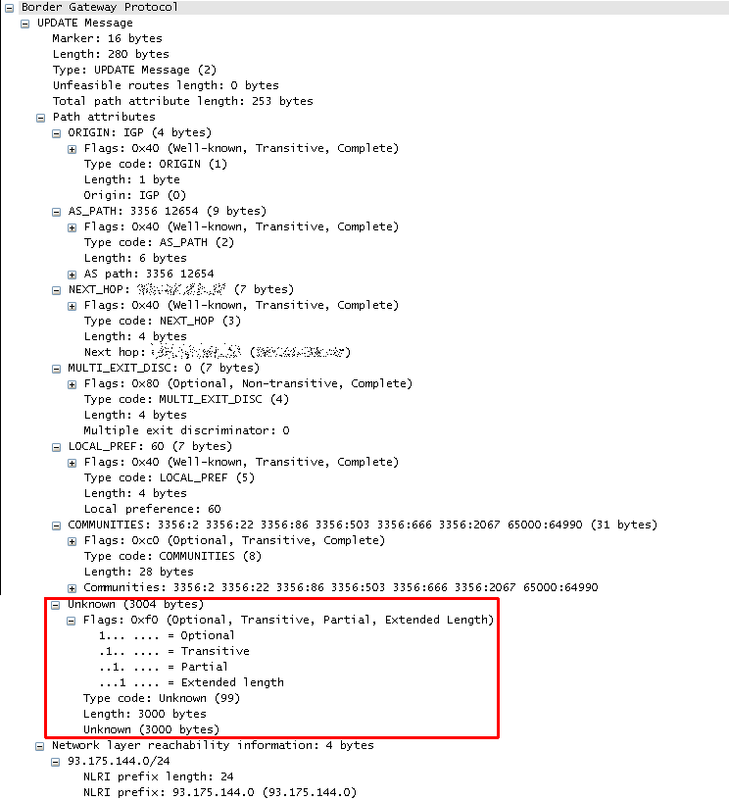 I am doing the same thing with some H3C (HP) dumps to decode WLAN packets directly from an AP. Nice to see someone writing about text2pcap .. so useful! I know it and i'm already using it in my other script. It's my script's limitation that cannot process multiple packets, something that will be fixed soon. Thanks for the great analysis and the trick for using Wireshark to decode packets from hex dumps in Cisco logs. Way more useful than NANOG flamewars! Hey, I've just come back from vacation (I was in Greece, oddly enough) where I wrote up a web interface to do this, you can see it at http://bgpaste.convergence.cx , would appreciate some feedback and some more formats (junos etc..) , I'm using perl, text2pcap, od, tshark PDML + XSLT to acheive this. Lochii thanks for the web interface, worked well for me..
Good blog post and recipe to convert a hexadecimal packet dump to PCAP to later analyse with Wireshark. Disclaimer: I am the author of the Network Expect framework.